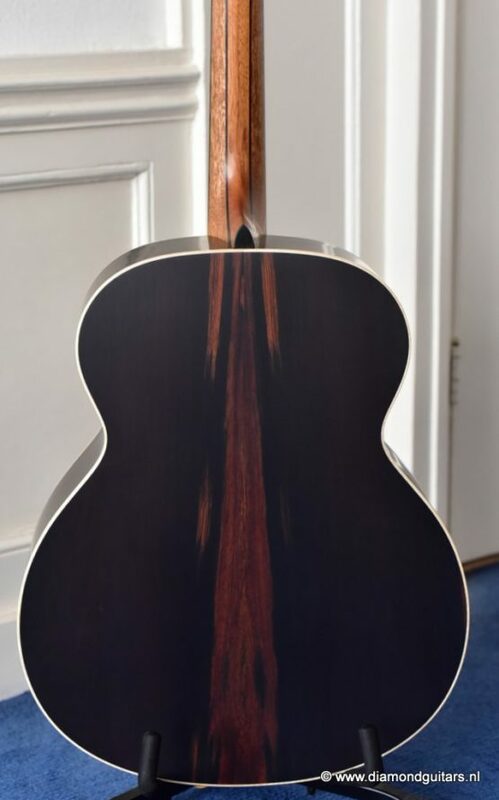 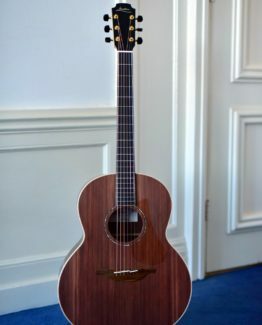 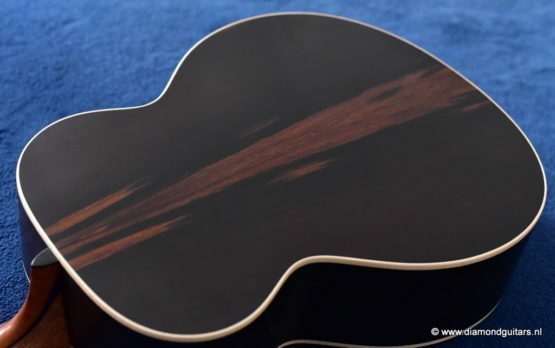 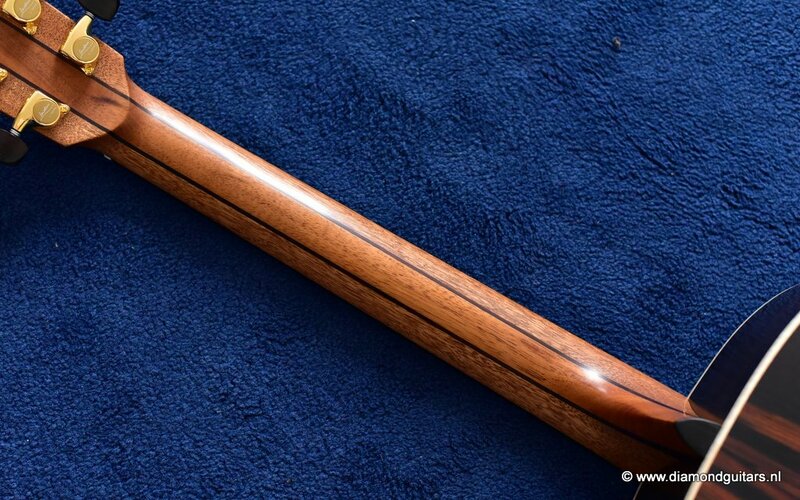 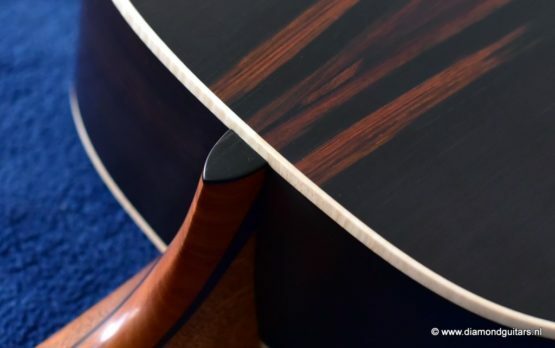 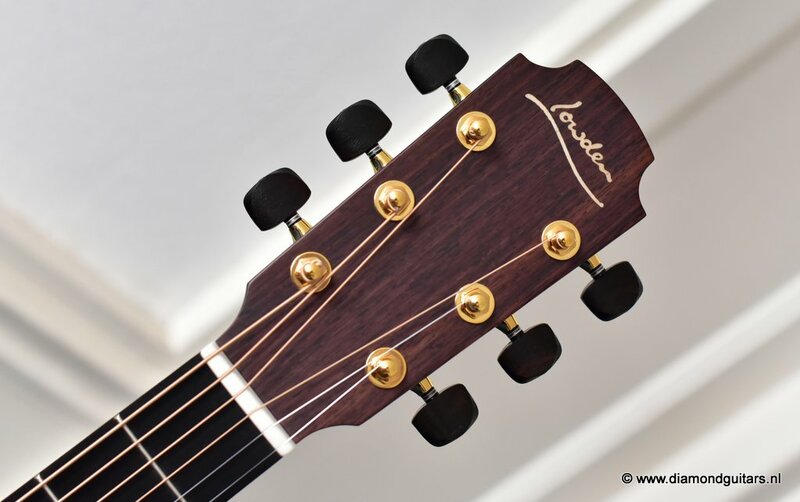 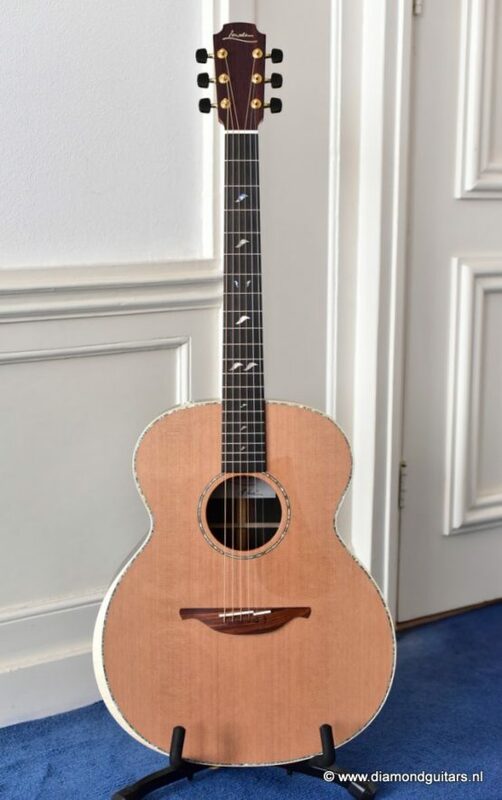 George Lowden made his first O38 Brazilian Rosewood – Red Cedar model back in 1976 for his friend Alastair Burke. 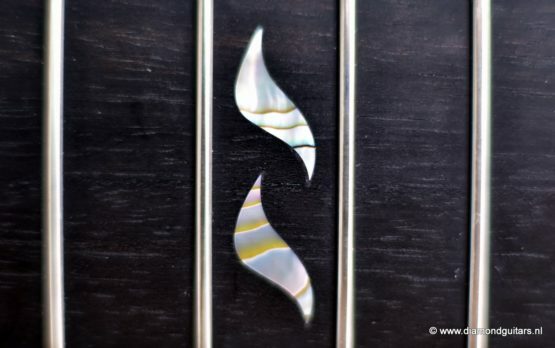 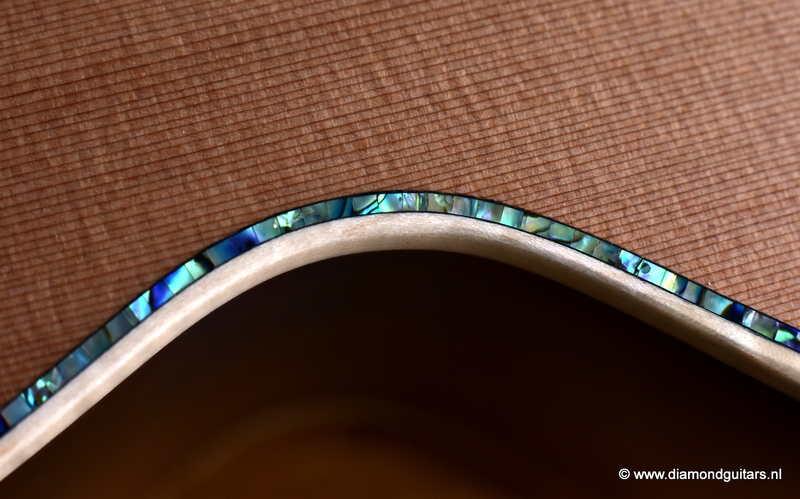 Traditionally George doesn’t use much shell inlays in his guitars but with this model he indulged a little. 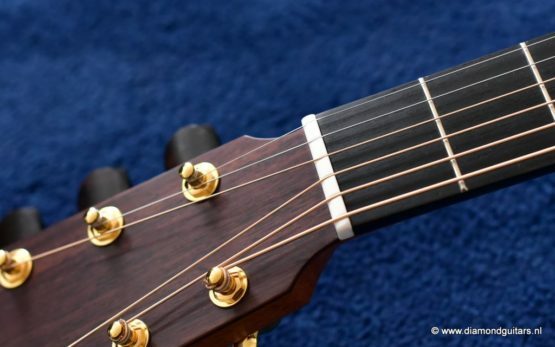 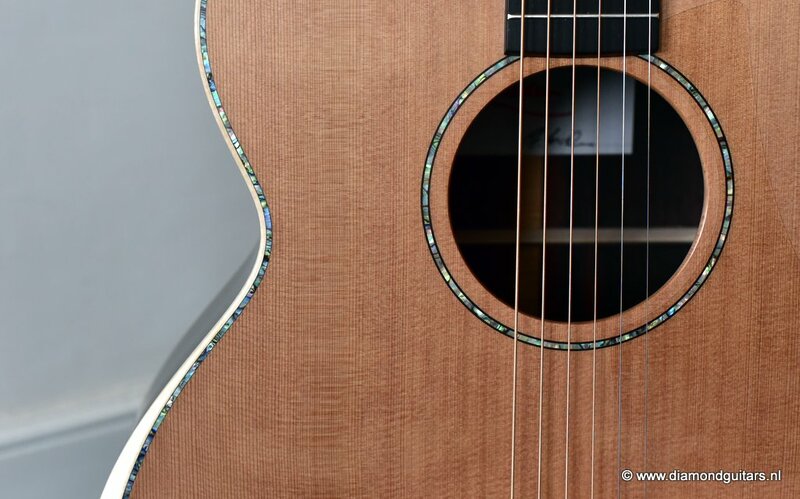 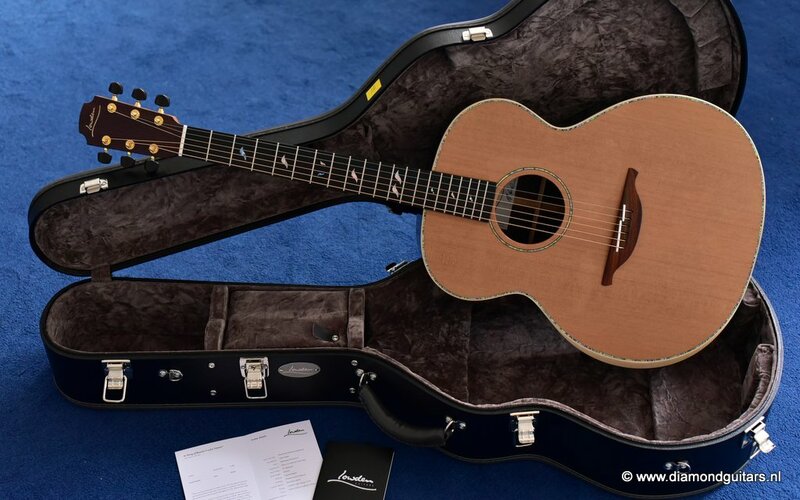 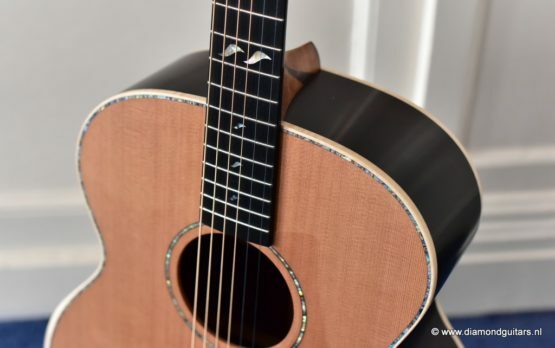 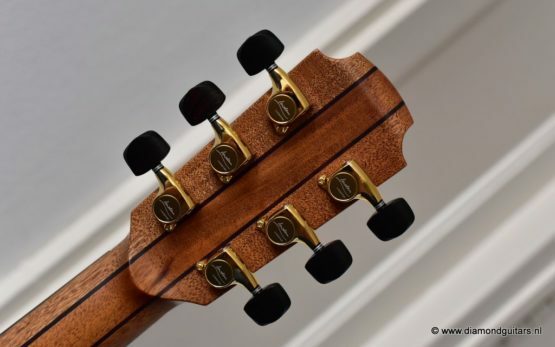 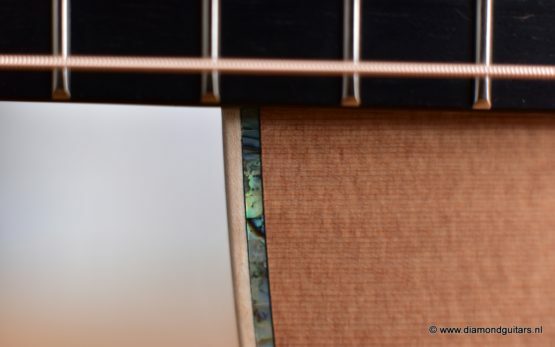 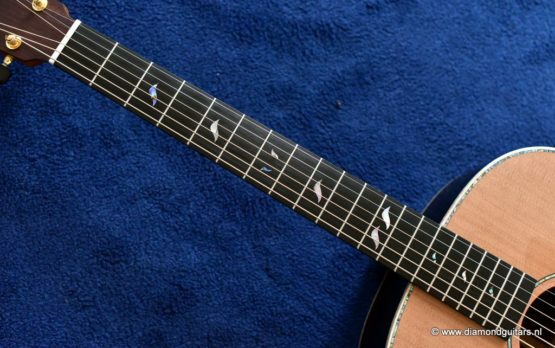 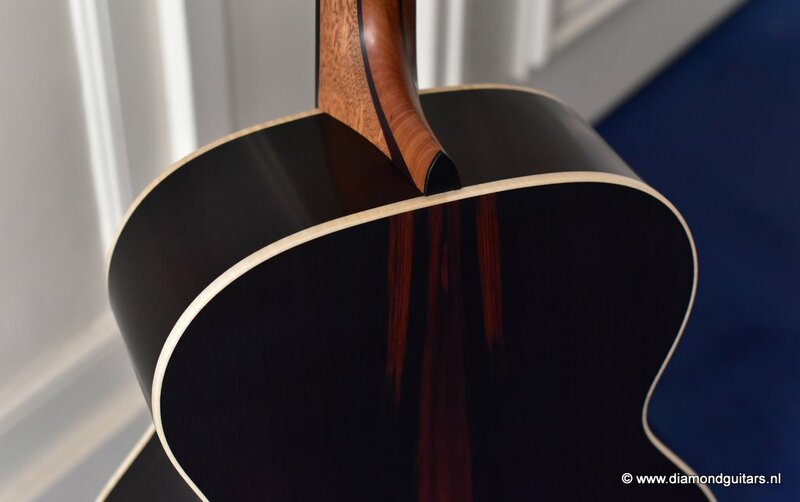 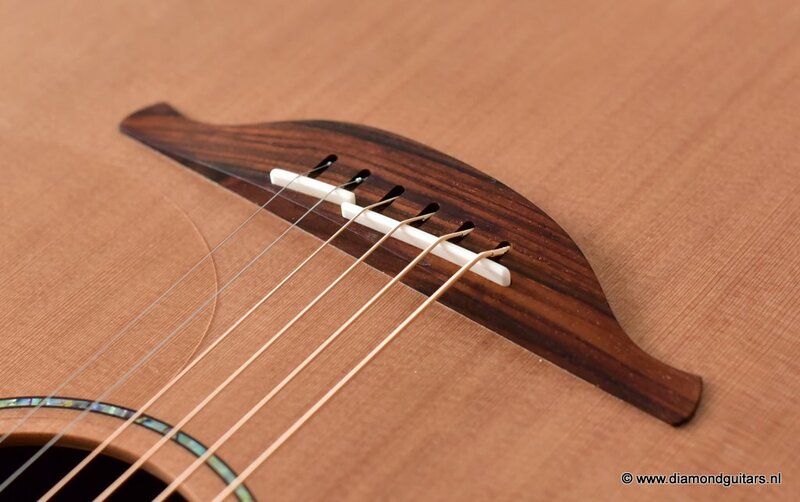 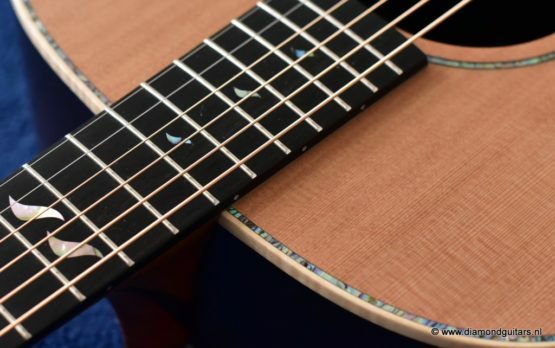 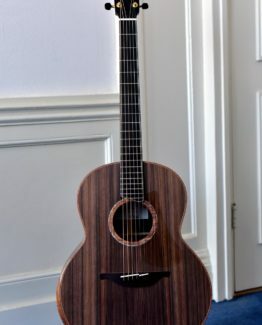 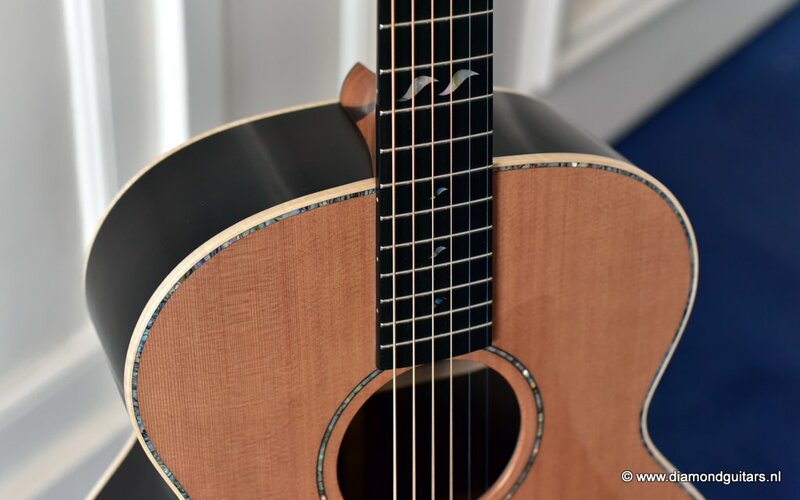 This O38 offers subtle use of leaf shaped Abalone fingerboard inlays and soundboard purfling combine with the ideal choice of CITES certified reclaimed Brazilian Rosewood and a Dark Cedar top. 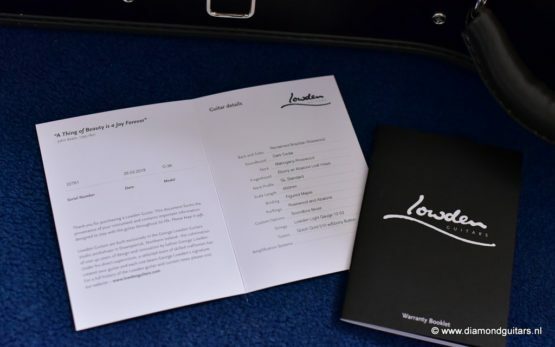 One of his preferred choices now! Nothing we can add to this. 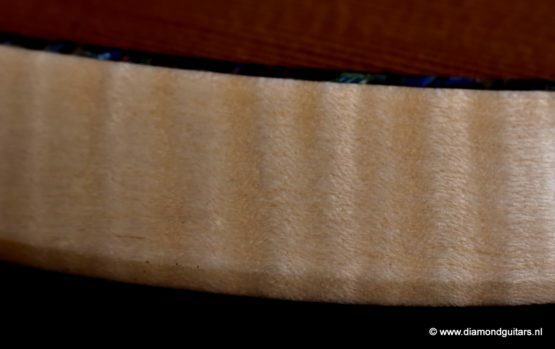 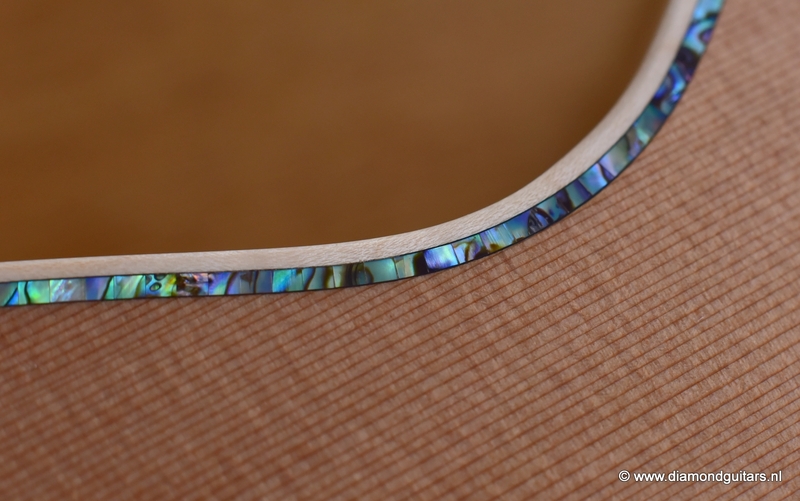 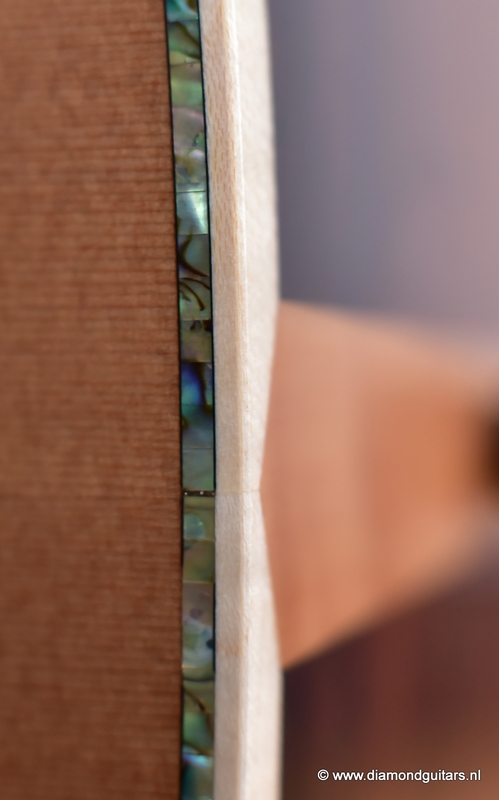 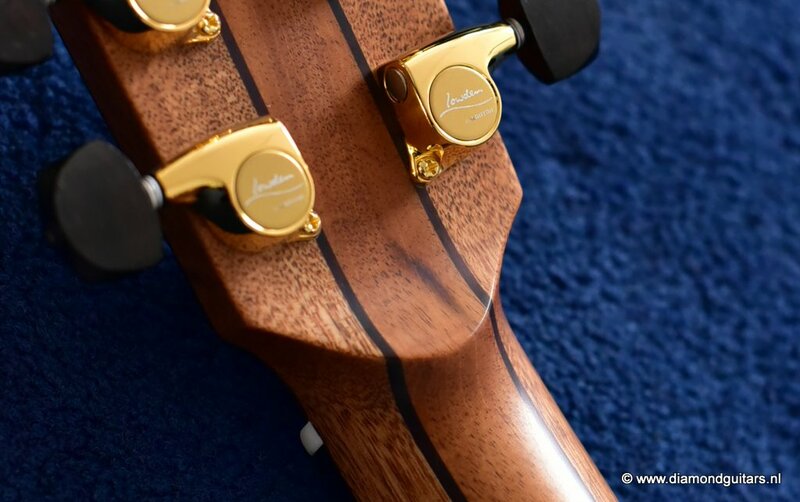 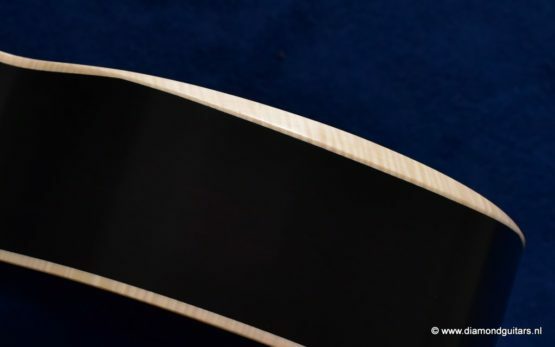 Well…except…a flamed Maple bevel! 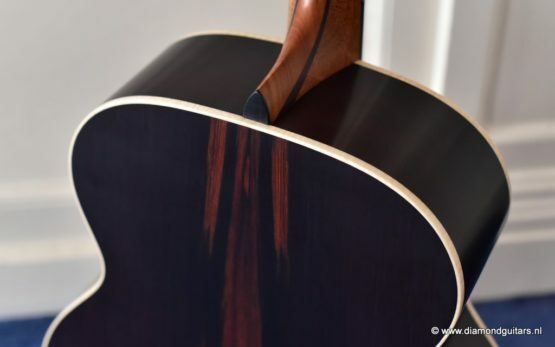 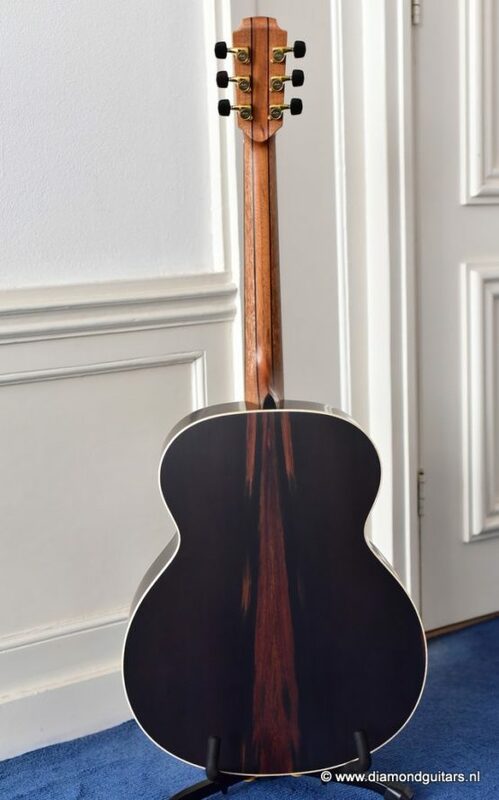 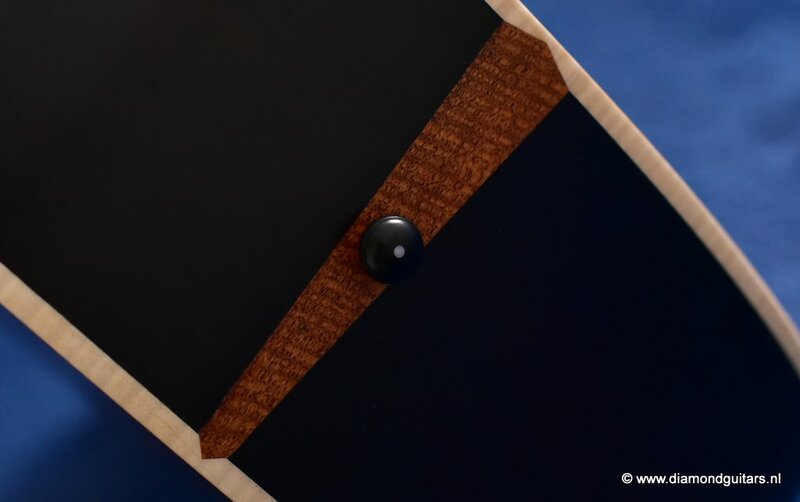 This masterfully crafted option let you play this big size guitar for hours without a problem, even if you are a little bit smaller in body size! 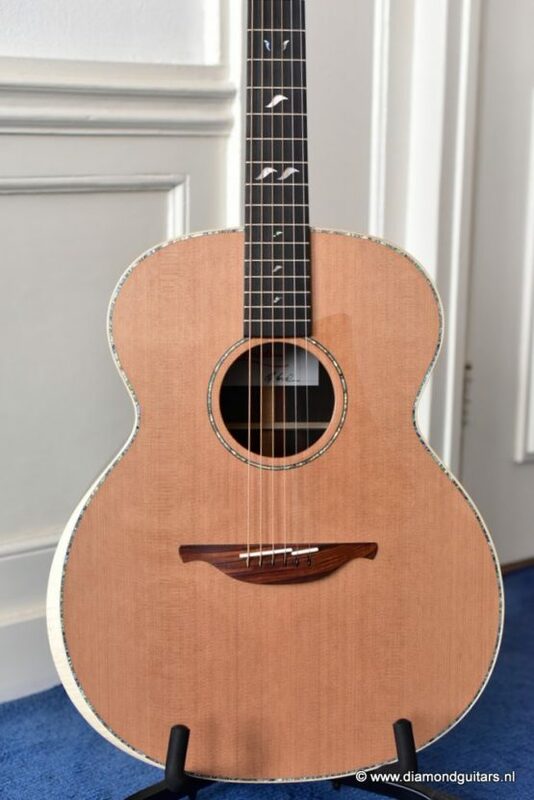 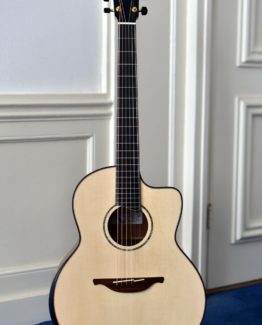 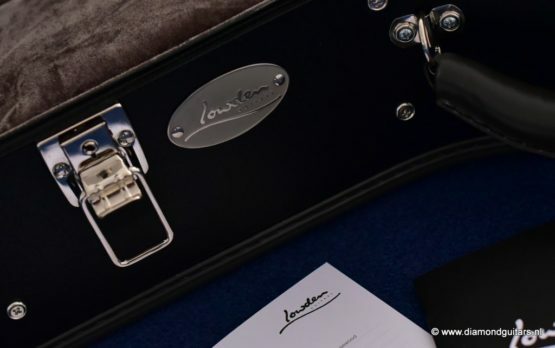 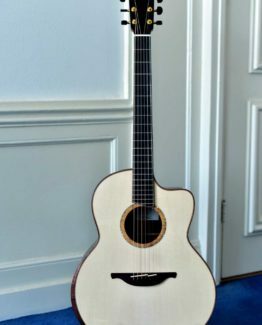 Check out the YouTube vid where George Lowden talks about this amazing instrument and Stephen Mchale play one similar to our wonderful O38.